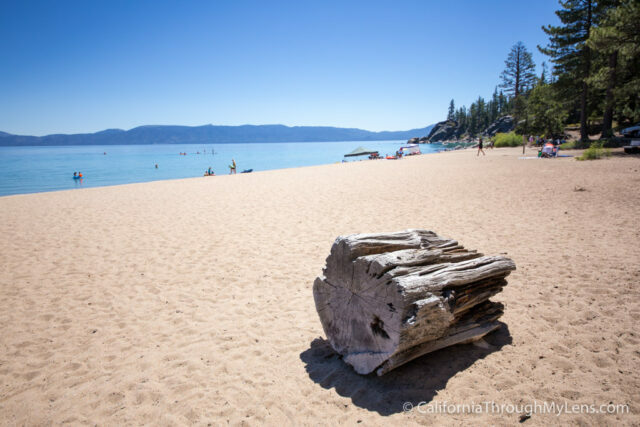 As the second most popular state park in the Tahoe area, next to Emerald Bay, DL Bliss State Park is an amazing spot to camp for the weekend or spend a day relaxing on the beach. 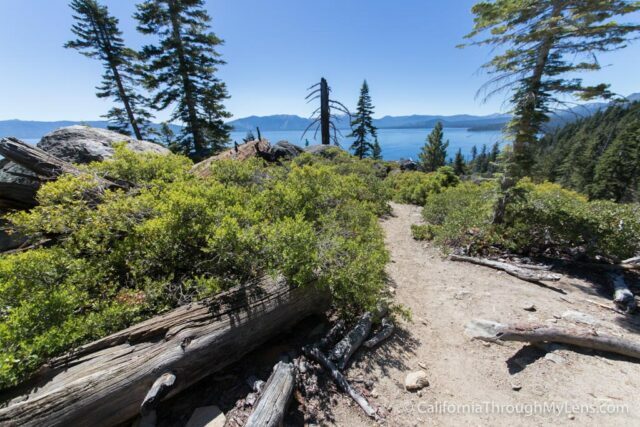 It is also the starting point for the famous Rubicon Trail as well, which is one of the most popular trails in Northern California. 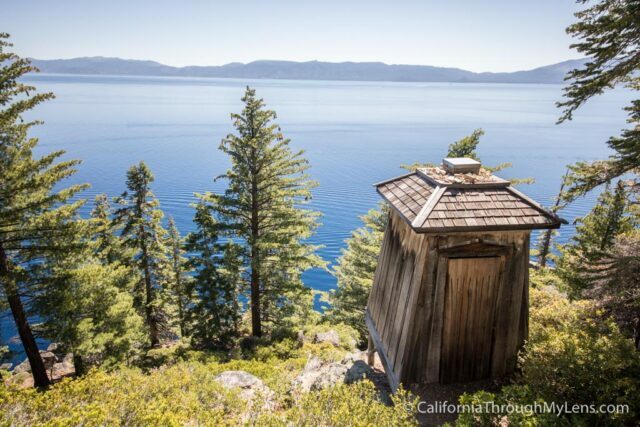 All of this makes it a fantastic spot to hang out while exploring the South East part of Lake Tahoe. Here is all the information on the parks main attractions. The lighthouse trail is the first spot you will arrive at after paying your fee and entering the park. This 1.5 mile round trip trail will take you up and over a small hill then down to the famous Rubicon Point Lighthouse. This lighthouse was once the highest lighthouse in the United States, due to Lake Tahoe being at around 7,000 feet. Now it still stands strong since the park fixed it up, even though its look has been compared more to an outhouse then a lighthouse. 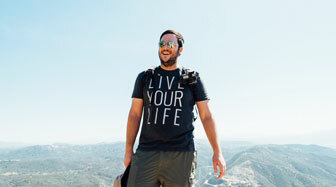 Here is a post I wrote on the trail if you want to hike it. In the North West section of the park sits a short one mile nature trail that shows you many of the different foliage and natural wonders you can see in the park. The trail is nice for families as it relatively flat and lets the kids get out and explore. 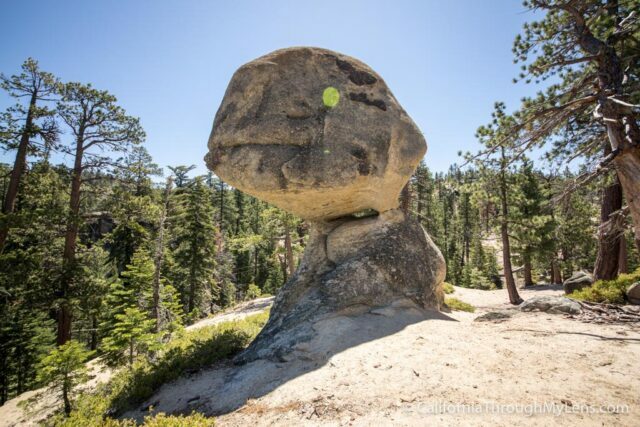 The highlight of the trail though is the large balancing rock that sits about a quarter of a mile in. This rock really does look like it is balancing on the short stubby rock below it and at 20 feet tall it is a good spot for photos. They also have a really fun old teepee at the beginning of the trail as well. In between the Nature Trail and the beach you will see the campgrounds. 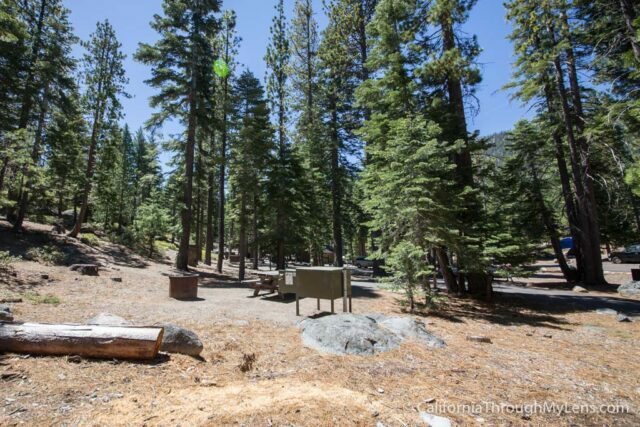 The campgrounds here have ample space, fire pits and lots of shade, which are all recipes for a great spot. They are also really close to both the cove and the beach, so you could do a lot worse in the available attractions. 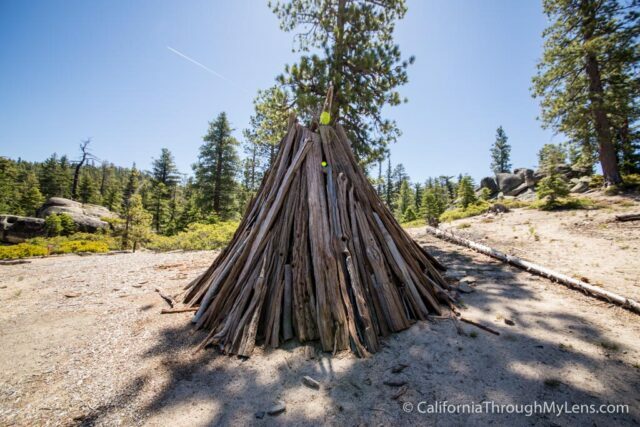 After driving from balancing rock, past the campgrounds, you will reach a split in the road, one way goes to Lester Beach and the other the Calawee Cove. I am partial to the cove myself as it is just majestic from above. The hike down is only 5 minutes or so as well, so it is not too crazy. Once you get down there you will be able to swim in the clear water or just relax in the sand. This is probably the most popular spot in the park as it is a massive sandy beach that is a 1 minute walk from the parking lot. The lot itself is small though so be sure to get there early if you don’t want to be a parking hawk. The beach is long and clean, the water is crisp and blue, not much else you can ask for. 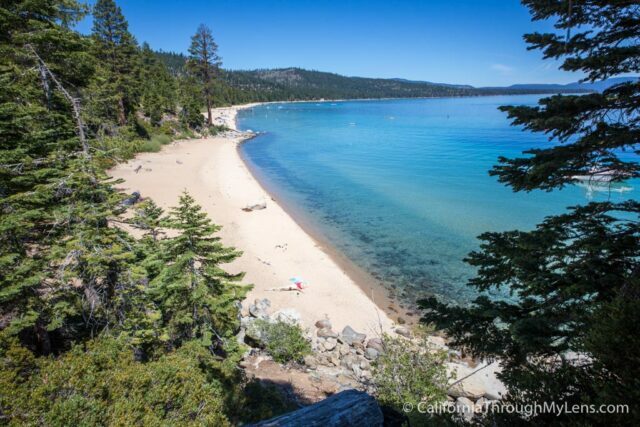 I haven’t done this trail myself, but it leaves from DL Bliss State Park and it traverses around the lake till it ends in Emerald Bay. 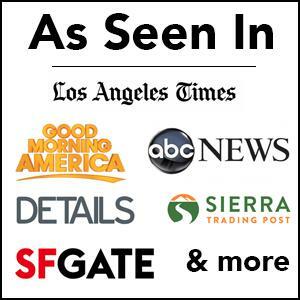 I have heard it is amazing so be sure to add it to your list. 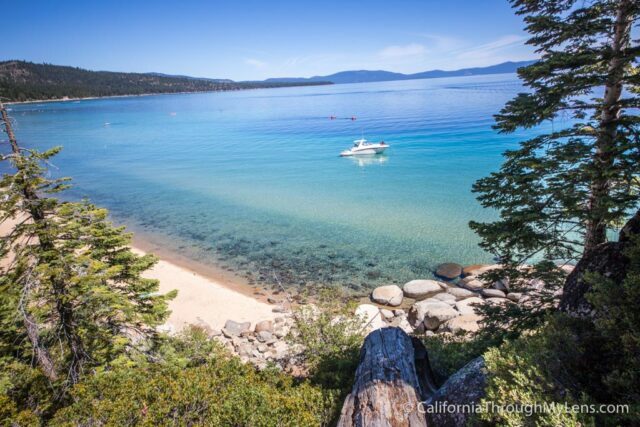 As you can see DL Bliss is a fantastic spot for a day of adventure in Lake Tahoe area. I can’t wait to go back and hike the Rubicon, but until then I suggest you stop for a visit and do a few of the above things.